So I've got a Washburn on layaway at a local pawn shop. I was hunting around the web for any kind of mention of this guitar, but so far, all I've found is the PLAB (amber burst) version, no mention or pictures of a blue pearloid WI-64. Wanted to give you guys a few pictures while I try and learn more about it from Washburn Customer Support. Re: A Washburn WI-64 that's slightly out of the ordinary. Either way, Repaint or Original Custom, I have a unique Washburn on my hands, definitely going to hold on to this for a very long time! the Pearloid-like finish looks almost like shiny fish scale in some of the pictures you posted. Absolutely beautiful geetar. Congrats on your find. What ever it is, you have one fancy guitar there. Very nice find, and not one you see every day. It is a real keeper. Tom. 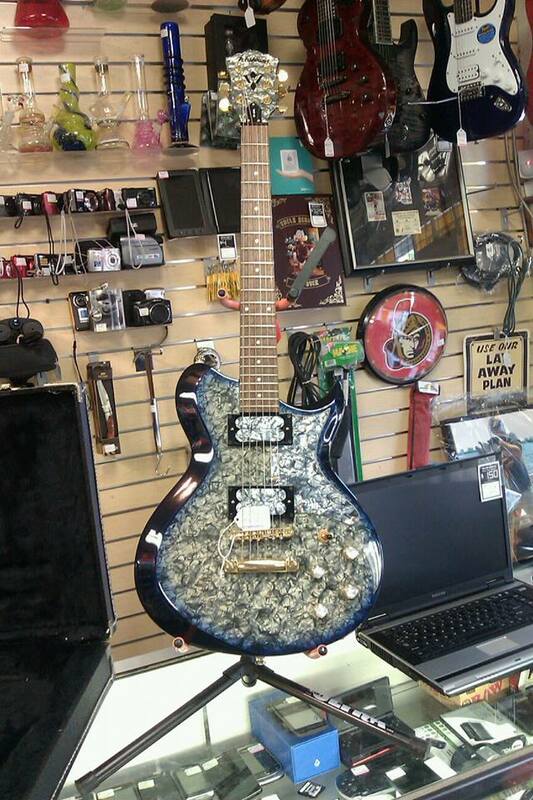 Beautiful Tobaco pearloid finish with matching headstock,pickup covers,electronic plate. @ PSP742; that would be the standard WI-64PL, aka the WI-64PLAB (PearLoid Amber Burst). There's supposedly anywhere between 50-300 PLABs that were manufactured as a specific run for a retailer....forget which one at the moment, possibly Music123? There's postings here and other places on the internet about PLABs. Which is why I think this has to be a super-low production run or possibly one-off custom, since the only pictures of a blue pearloid Idol to be found on the internet are ones posted by me. As for it's origin, I'm 90% sure it's MiA, forgot to take a picture of the back of the headstock so I can't confirm until I pick it up on Friday. Made in October of 2000. @ T.y. & whoomit; Thanks! I just found your post yesterday (from 2013) about the blue pearloid WI-64. This was (or at least is from the same run as) my older brother's guitar. He bought it from a music store (maybe Axe Music?) in Calgary in about 2001. He lent it to my twin brother and I for a while in 2001 or 2002 as we were learning guitar and it is the first guitar I ever played. I found out a few years ago that he sold it sometime (I would have guessed around 2010) when he wasn't playing much guitar. Whether this was to a pawn shop, music store, or individual buyer I'm not sure, but it would likely have been sold somewhere in Alberta or maybe Northern BC. 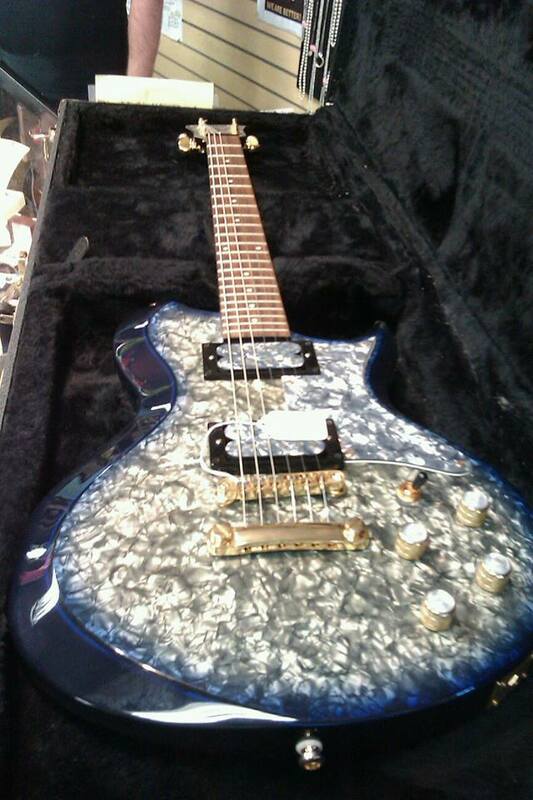 I had no idea this blue pearloid guitar was so rare. Frankly, I haven't seen a Washburn anywhere locally for a long time. My brother died last year and I would love to have this guitar as a way to remember him. I ran into the images from your post on a Google search for "blue Washburn guitar". I would pay generously if you're willing to sell. If anyone else has one of these please let me know!